Stories and videos for a travel-inspired lifestyle. Getting around Spain is all about the journey. 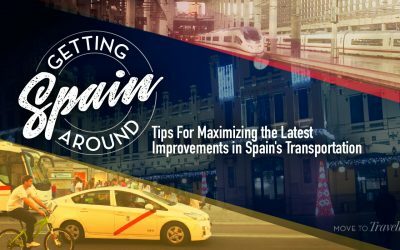 So make the most of Spain’s ever-improving transportation with these tips that save you money and time. To live in Spain seems to be catching on for a lot of people today. If you’re thinking about moving abroad, here’s plenty of reasons to consider Spain. 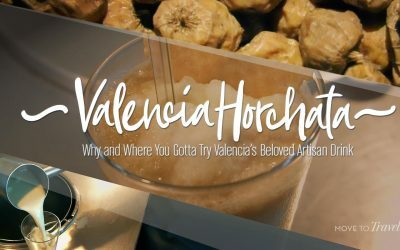 Why try Valencia horchata? This local tradition can be healthy (hint – tiger nuts) and no one knows that better than Valencia’s first organic horchatería. 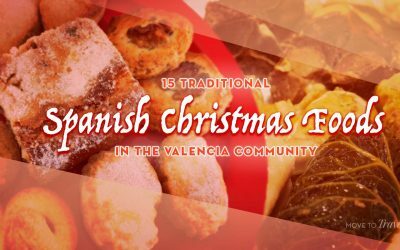 We’re getting our stomachs around all the Spanish Christmas foods during the holiday season. With the help of locals, here’s 15 traditional and rare ones. Food events in Spain are the hottest new way to travel, and now Denia has one of the best ones. Enjoy our tasty story and video to discover more. 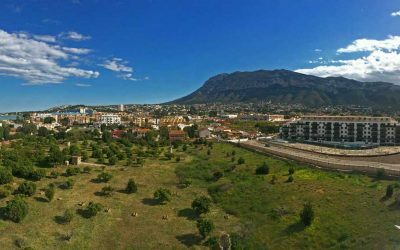 For an authentic Spanish drink experience, enjoy vermouth in Denia with our latest gastronomy travel guide. 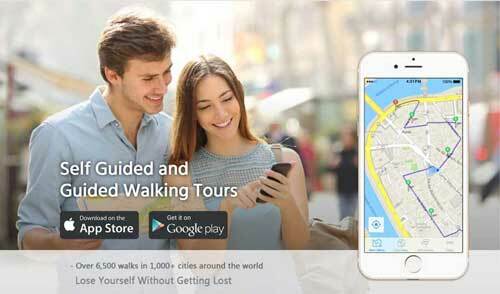 Complete with food tips and interactive maps. Read about our recent Spanish beer tasting to learn about some of the latest artisan beers and the growing craft beer culture here in Spain. Among the best restaurants in Madrid, is the oldest restaurant in the world. Watch the video to see what their nearly 300-year old oven is still cooking up. Vermouth in Valencia is not only a great drink, but an amazing experience. Use our latest gastronomy travel guide for where to enjoy this Spanish tradition. Spanish vermouth is one of our favorite drinks, and we aren’t alone. So, with this Spanish aperitif in hand, let’s get you introduced. Easter in Spain is a big deal, and a yummy one! So we’re introducing you to some of the local foods for celebrating Easter in our part of España. When looking for houses in Spain what do you picture? 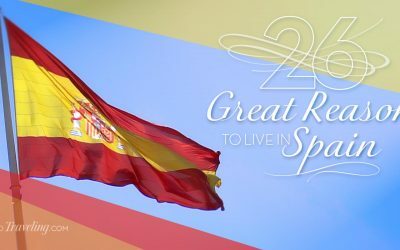 From our own first-hand experiences, we share with you our top 6 things to consider when looking for a home in Spain. 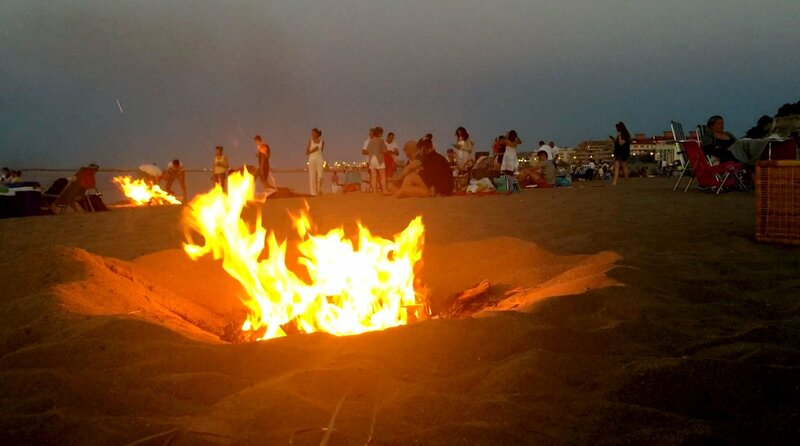 Get ready to jump a bonfire and dive into the sea because tonight is the bonfires of San Juan! Come see what it’s like, front row and center from our home. Click to see all posts about Spain. During a recent trip, we discovered these three things to see and do in Alicante so that you experience its history, shopping and food. We recently visited Lastres, a beautiful fishing village in Spain’s region of Asturias. See if it’s ideal for you to experience ocean, mountains and more. We love visiting Asturias, for so many reasons. From its natural beauty to its food and people, we think you’ll like this northern region of Spain as well. This year we got a roof top view of the Fallas tradition of the Mascleta in Valencia. Have you ever heard of this major festival? It’s weeks of spectacular creations and traditions. Watch our video to get a sneak peek and learn about why it’s worth risking your eardrums to attend. We chose the charming fishing village of Cudillero for introducing visiting family to Asturias. Read more and prepare to be enchanted. When I first visited the region of Abruzzo in Italy, I enjoyed a private tour of the Masciarelli Winery. It taught me about far more than wine. When I first visited the region of Abruzzo, Italy, I was introduced to La Vineria di Salnitro. Meet owner Angelo and step inside another dimension of Italy! In Northern Italy, I spent a day visiting Bergamo. It was a town I almost overlooked, but am so glad I was introduced to. Learn what a day there is like. Livorno, Italy has the best seafood in Tuscany? Amalia experienced a historic restaurant that continues to specialize in this area’s local cuisine. One of my favorite travel discoveries is the first bed and breakfast in Italy! Don’t miss out on this hidden gem. It’s reason enough to visit Italy today. Click to see all posts about Italy. Click to see all posts about Central America. For the Best Beaches in Costa Rica, Follow the Surfers! You don’t have to be a surfer to enjoy these great surf spots as the best beaches in Costa Rica. Time to follow the surfers and BookSurfCamps.com! This video introduces you to the Conchal Hotel in Costa Rica. You’ll be ready to go stay with them for a true Costa Rican experience. The next time we visit Costa Rica, we know where we’re staying! The Conchal Hotel makes for an unforgettable Costa Rican experience. Nothing cures my cold-weather-blues better than local beaches in Dominican Republic. Boca Chica can be underestimated, but family and food never fail! Before flying out of Costa Rica, learn from us about how to be prepared for the departure tax. Don’t let it surprise you pre-coffee like it did us!